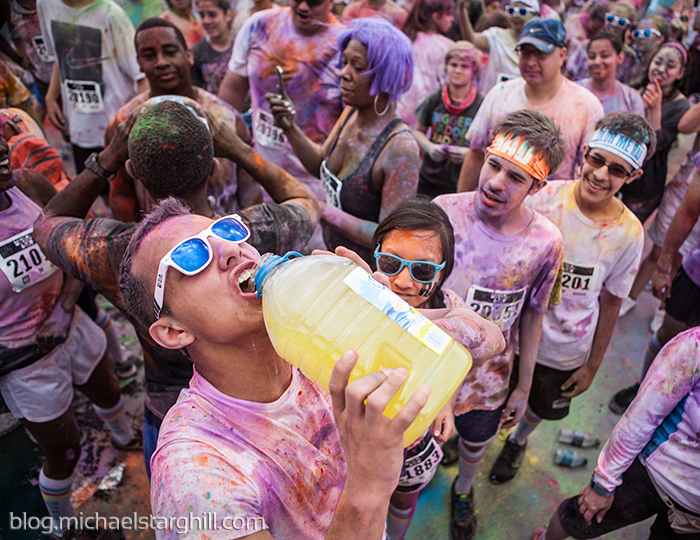 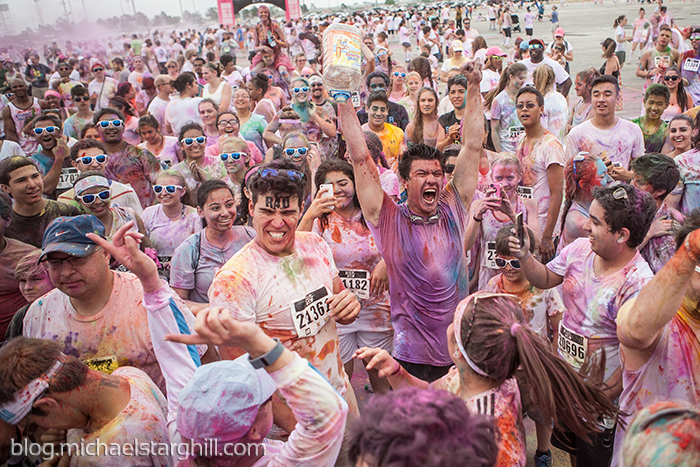 On the vast pavement that is the Sam Houston Race Park parking lot, an event emerged. 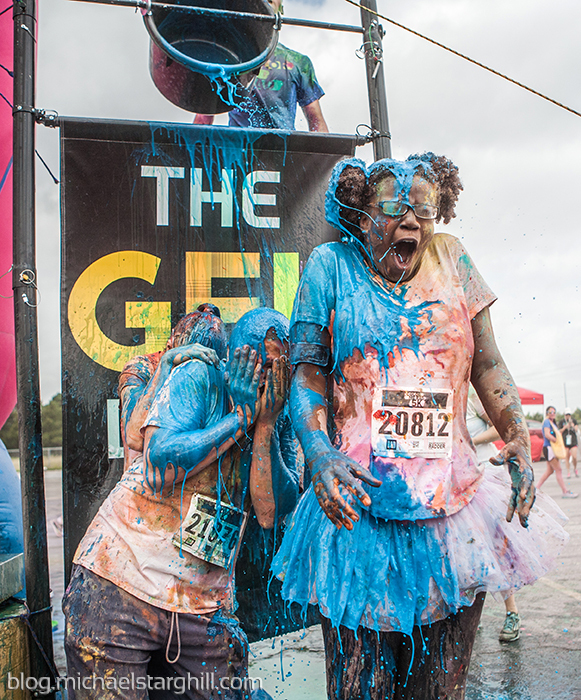 3.1 miles of a guided path snaked through a parking lot, over a bridge through an adjacent lot, back over the bridge and all over the original lot. 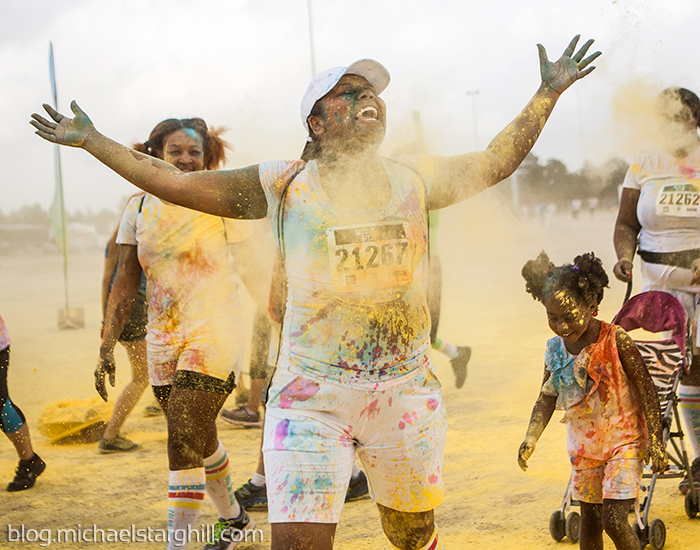 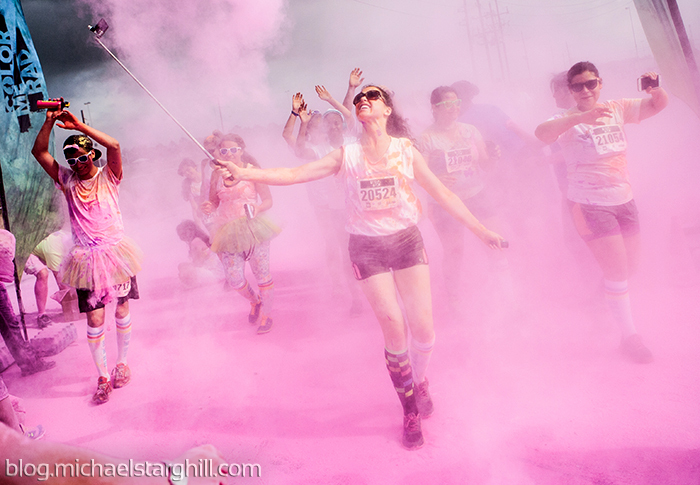 Participants ran, jogged, walked and strolled through the course all while being pelted with colored powder and squirted with colored gel. 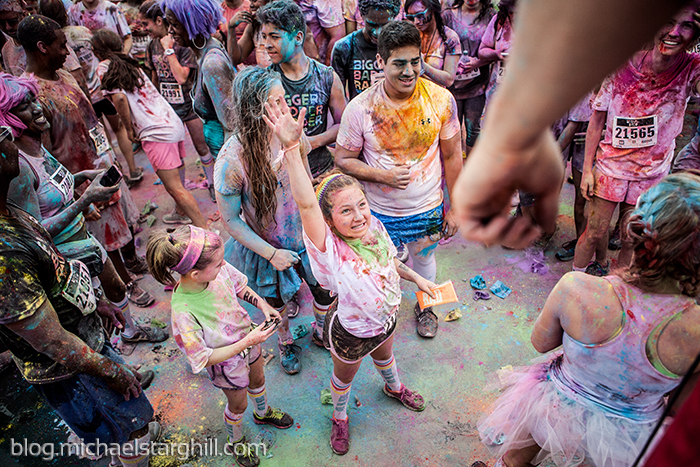 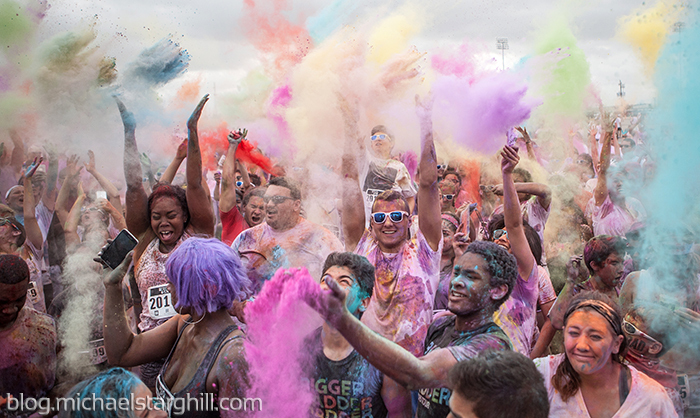 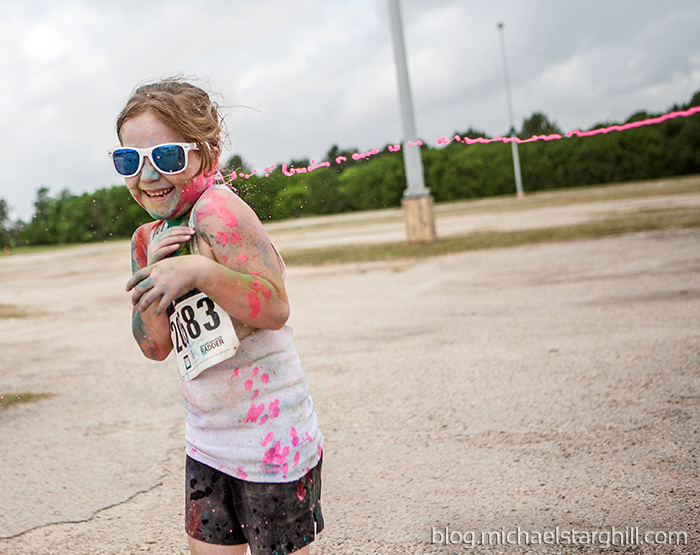 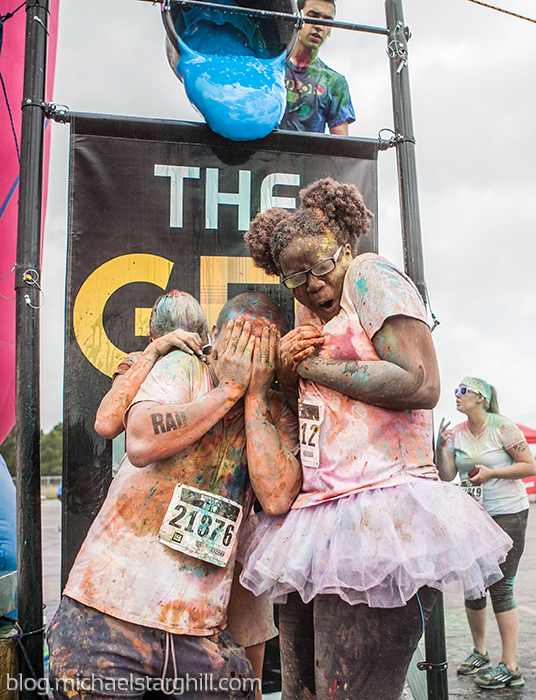 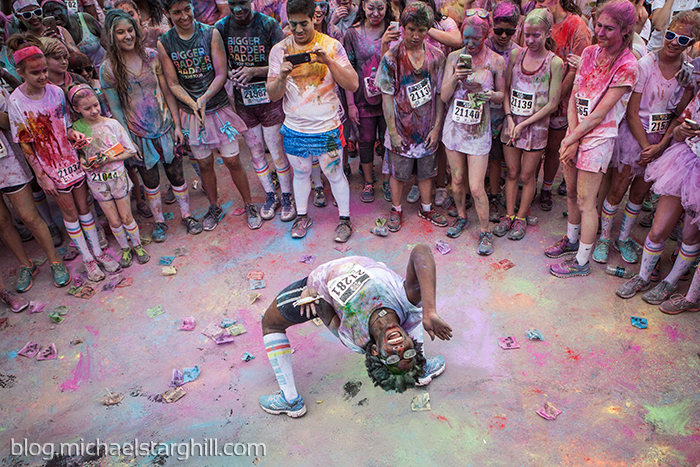 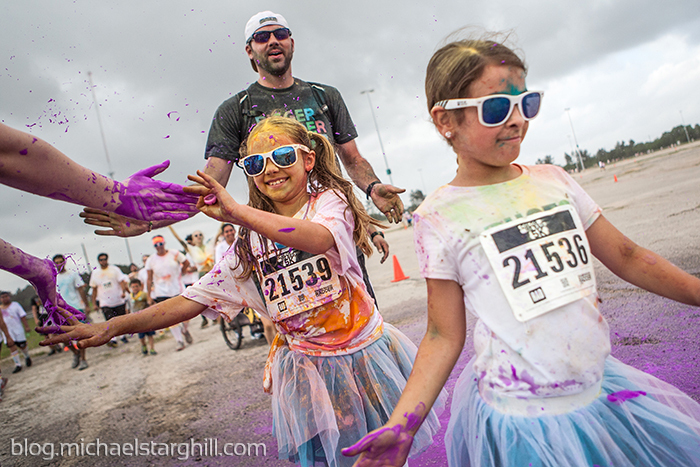 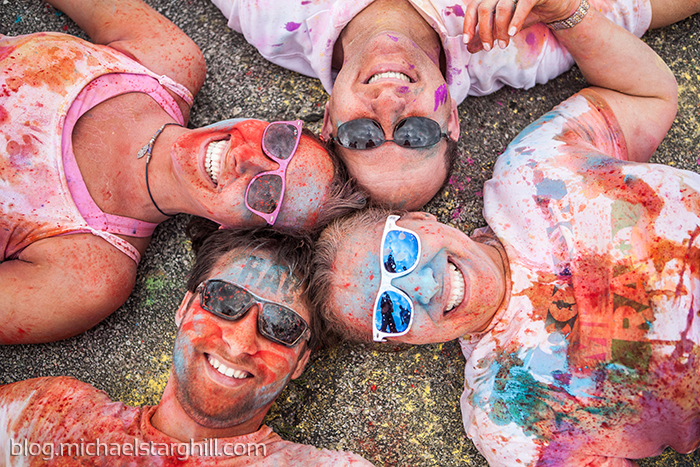 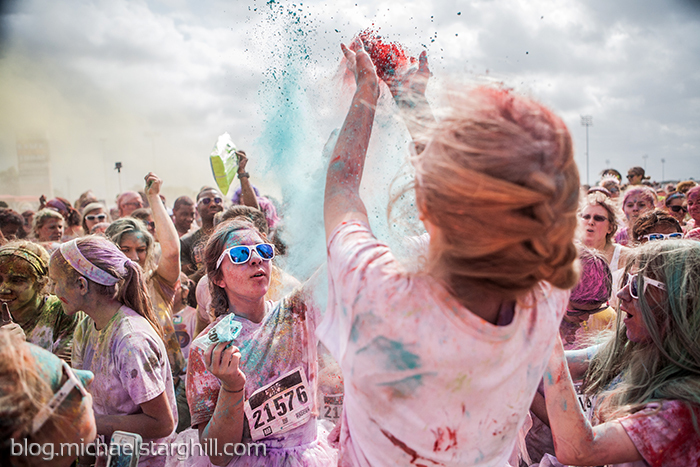 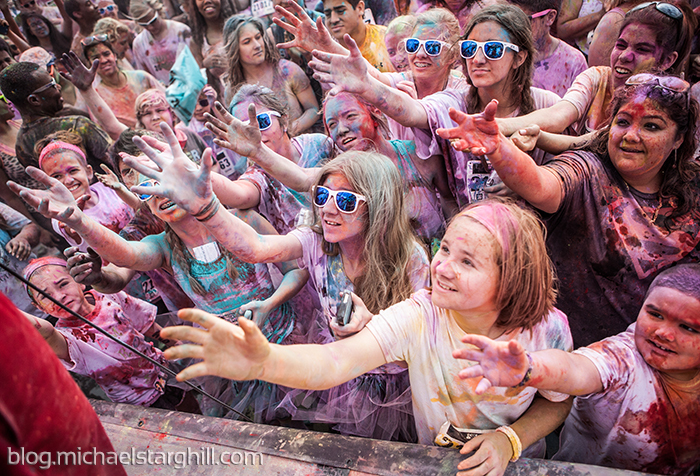 This is called Color Me Rad and there was an abundance of color.